Warrantied repair available from your Basement Systems dealer. Can’t leak or reopen like mortar-based repairs. Permanently stops water leakage through basement wall cracks. Compatible with WaterGuard® perimeter drainage system. The first response to a cracked basement wall is often an application of patching mortar or masonry sealant. Unfortunately, this quick fix rarely works because of poor adhesion to the masonry or a slight movement along the crack that breaks the seal. Instead of making several attempts to repair a foundation wall crack, why not make a single repair that will last? 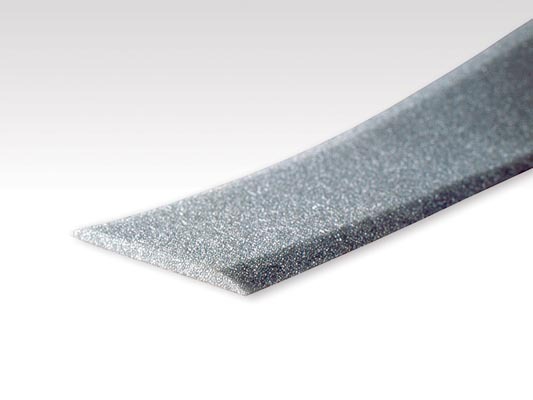 The FlexiSpan® crack repair system will do the job right so you won’t have to do it again. 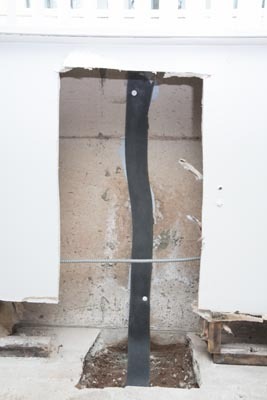 Once the crack is sealed, a hidden, foam-lined channel directs water leakage to the waterproofing system. 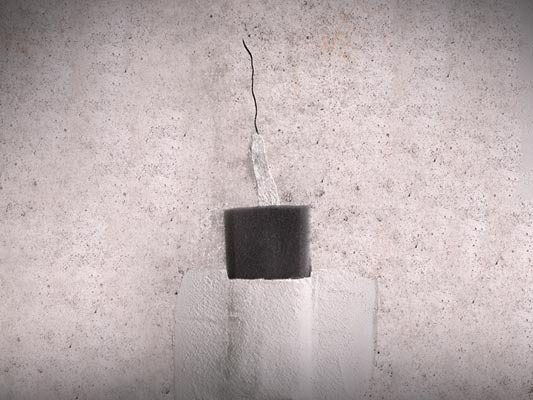 FlexiSpan® crack repair is actually a three-part process that begins with the application of a flexible sealant along the full length of the crack. 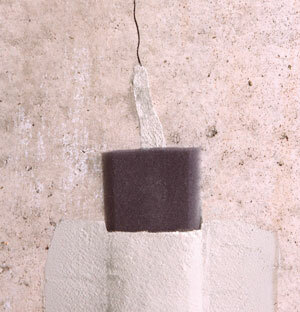 Next, a strip of flexible and porous foam is installed over the crack. Finally, an impermeable membrane is adhered to the wall on both sides of the foam strip. 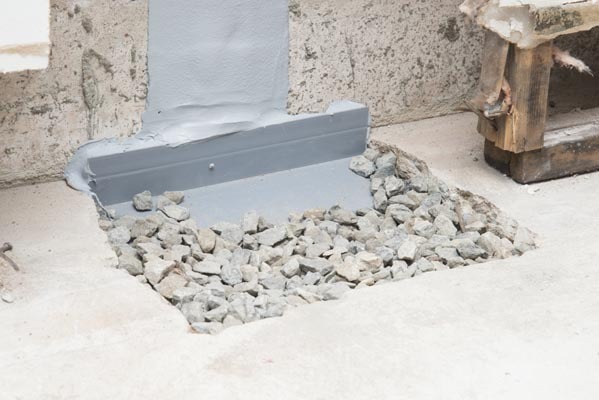 This fail-safe treatment allows any future seepage of water through the crack to move invisibly down the wall and into the basement’s perimeter drainage system. 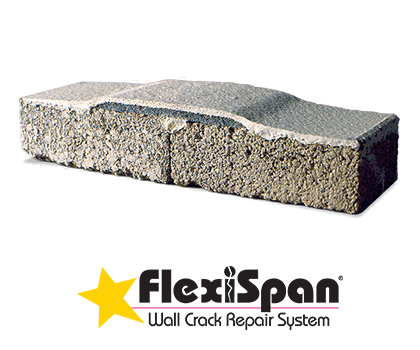 Unlike sealant or mortar-based crack repair, the FlexiSpan® system is not adversely affected by hydrostatic pressure or slight movement in the basement wall. It works under all conditions. 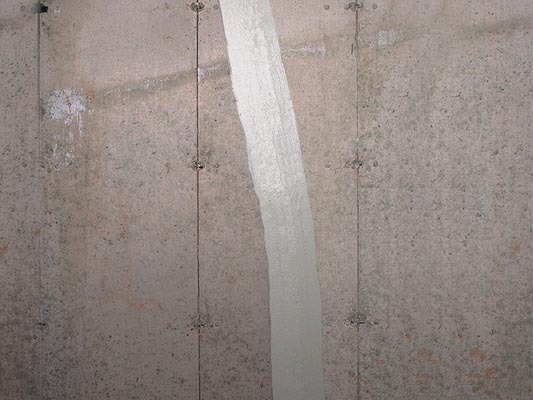 In rare instances, a foundation wall crack can signal a serious structural issue like settlement, erosion or buckling inward due to soil and water pressure. Foundation leakage may also be an issue, but the primary concern will be to correct major structural problems that threaten the stability of the building. For foundation structural repairs, contact the experts at Supportworks. Our trusted sister company, Supportworks specializes in the repair of foundation cracks, bowing or buckling foundation walls, uneven floors, foundation settlement and several other types of foundation problems. 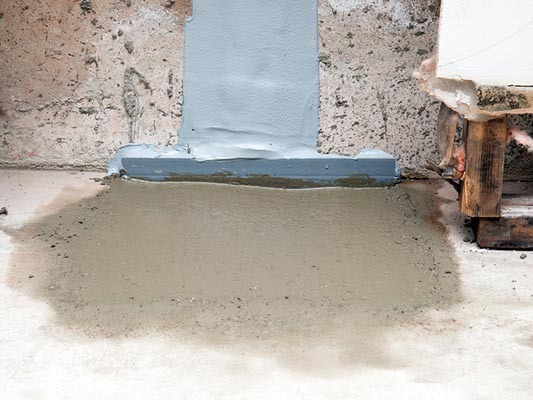 If you have leaking foundation wall cracks, it's best to make sure you have a proper waterproofing system in place. Basement Systems offers patented drainage systems and sump pumps that can help keep your basement dry. For a consultation and estimate on FlexiSpan®, contact us today to find a basement repair contractor in your area.